AGO – The Book Stops Here! He was adored once, and still is, worshipped by many a wordsmith. He is William Shakespeare, the Bard of Avon. 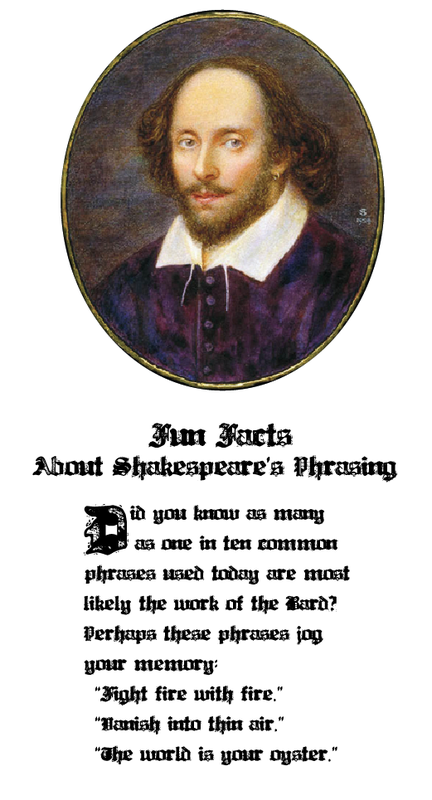 Shakespeare is widely regarded as a supreme writer of the English language. The most famous dramatist in the world, his 38 plays have been translated into every living language. His thoughtful words—of which the prolific visionary is credited to have invented numerous—live on in the hearts and minds of many, including this baker’s dozen: dawn, generous, lustrous, monumental, champion, savagery, zany, discontent, gloomy, lonely, bloodstained, fashionable, and moonbeam. To the world of literature—and to the world in its entirety—Shakespeare left behind an unparalleled legacy as a result of his inventiveness. In 1623, seven years after his death, Shakespeare’s First Folio was printed. His friends John Heminges and Henry Condell were credited with gathering and editing the collection of plays. Experts are certain that without the First Folio, 18 of his plays would not have survived in printed form. 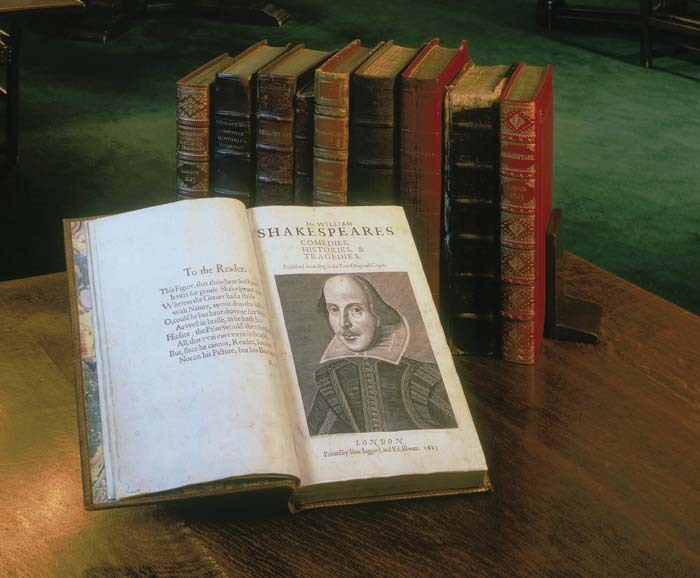 It is believed that 750 copies of the First Folio were originally printed. 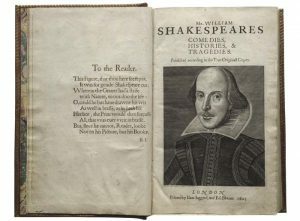 The Folger Shakespeare Library in Washington, DC holds 82—the largest collection in the world, and more than one-third of the 235 known copies in the world today. One of the most valuable printed books in the world, one First Folio reportedly sold at auction for $6.2 million in 2001 and another sold for $5.2 million in 2006. St. John’s College has been selected as the state of Maryland’s host site for “First Folio! The Book that Gave Us Shakespeare,” a national traveling exhibition. The Folger, in partnership with Cincinnati Museum Center and the American Library Association, is touring First Folio to all fifty states, Washington, DC, and Puerto Rico during 2016. “This is an incredible opportunity for many people to come within inches of one of the most influential books in history,” says Catherine Dixon, Director of the Greenfield Library at St. John’s College. The college is partnering with the Annapolis Shakespeare Company to offer live professional Shakespeare performances, educational workshops, and a variety of activities for the public. “Annapolis Shakespeare Company is honored to be the official programming partner of the Folio Exhibit and share the transformative work,” says the company’s founder and artistic director, Sally Boyett. Error: Error validating access token: Session has expired on Saturday, 09-Mar-19 15:57:50 PST. The current time is Wednesday, 24-Apr-19 07:12:50 PDT.